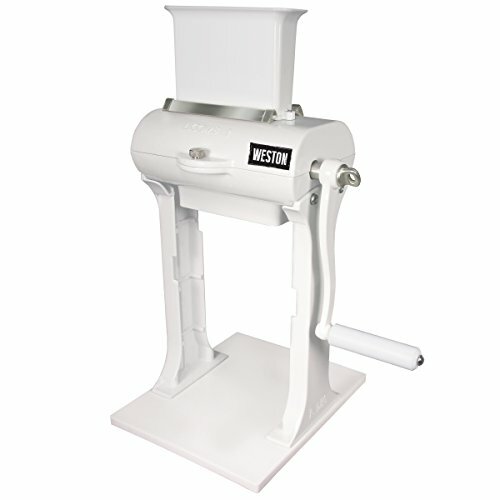 Convert into a Jerky Slicing Machine with Jerky Slicer Blades (sold separately, 07-3302-W). Cast aluminum. Food safe coating. Durable crank handle and stainless steel blades. Stainless steel tongs for safe and easy use. Clamps to counter. Disassembles for cleaning. If you have any questions about this product by Weston, contact us by completing and submitting the form below. If you are looking for a specif part number, please include it with your message.